Joe – Vocals, Guitar, Harry – Bass, Backing Vocals, Louis – Drums. I met Louis on a Music/Electronics course up in Leeds. Leeds is known for its music scene and they really encourage creativity. Its hard to spend time there as a musician and not be inspired. When our time at university was up, I think we both came back down south to Guildford and really felt the lack of excitement and musical inspiration in both our own lives and the scene around us. Even right now the last remaining small venues in Guildford are battling to hold their ground against new developments. Despite all that I think we found inspiration in each other. Louis and Harry knew each other since school and I joined them for a couple of sessions soon after returning to Guildford and those guys really pushed me to start thinking differently about writing music. I think we all bring something different to the mix and I think that’s why it’s exciting. We’re making something new. A couple years ago when we played our first gig together. We were spoiled. We were put on this big stage at the Surrey Uni and we had worked HARD on the songs but we didn’t know what we were going to do or say when we got on that stage. There were a lot of nerves and we weren’t sure if people were going to “get” the music, but we threw everything at it and it worked! The response was great and the hard work had paid off. I think we all came out of that thinking, wow I think this might actually work. I think everyone in the band would give you a different answer to that. I think the bands we grew up with will always have an impact on what we write. People often pick up references to System of a Down, Queens of the Stone Age, Muse… I think vocally I’ve always loved the emotion and drama that singers like Matt Bellamy (Muse), Brendon Urie (Panic! At the Disco) or Freddie Mercury (you don’t need me to tell you which band) bring to a performance. Having said that, we are really into our metal too. Bands like Architects, Black Peaks, Tesseract, Leprous and Northlane are really taking their scenes in new directions. That bravery alone is a bigger influence than any. I’d love to have a better story or meaning behind this one… but it was a move from a video game. We were actually looking a lot at myths and legends. I think the drama and theatre of Greek mythology and the conciseness of the morality is something that as songwriters we should really aspire to. I think the one thing we are all aligned on is that we want to make something different. We aren’t trying to fit into a certain genre or exploit a trend; we just want to create our own identity and our own path. We aren’t afraid to be weird or even nerds at times (all the time). We try to catch people off guard and if one of us writes something that makes us laugh or say “What the f&*k is happening?” then it stays. Imagine if Twilight Zone met Jurassic Park; you don’t know where it’s taking you but it’s a hell of a ride! It’s weird and beautiful all at once. We are planning a tour in the latter part of the year. We’re working on making that really special and give people a show they haven’t seen before. Stay tuned to our social channels to hear about that. 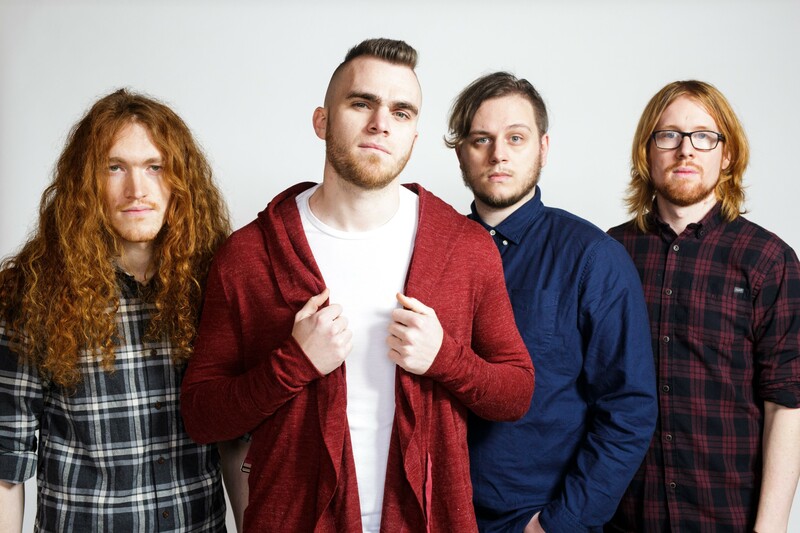 ICARUS DIVE RETURN WITH NEW VIDEO! ICARUS DIVE RELEASE NEW TRACK AND ANNOUNCE EP!